These are the beast Yeast Rolls and they turn out perfect every time. 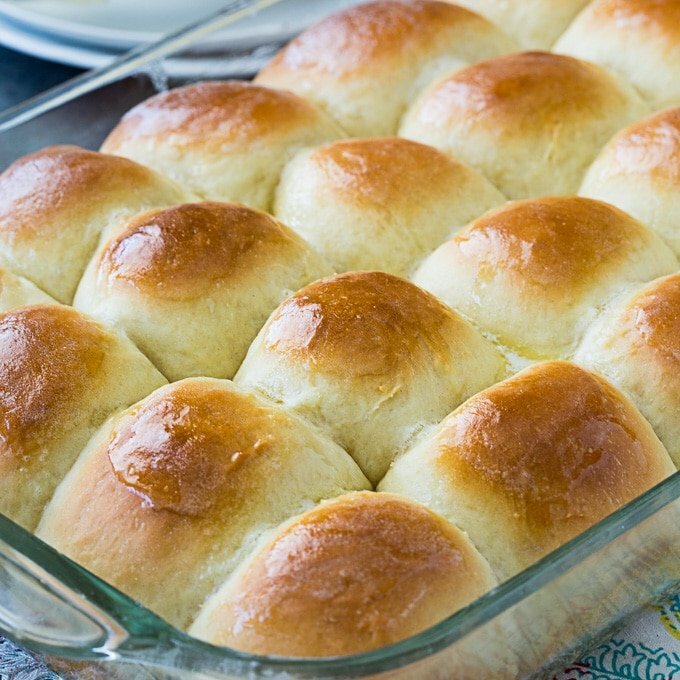 With just the right amount of sweetness, these homemade rolls taste heavenly slathered with butter. They are a great addition for a Sunday supper or holiday meal. And they are a must on the Thanksgiving table. These rolls are so buttery and light and they bake up golden on top. They are light, but sturdy enough to make mini sandwiches with. There is nothing better than homemade rolls. I can eat my weight in them. Store bought rolls don’t even come close to competing. These yeast rolls take a little time investment, but it is so worth it. They really are the beast yeast rolls. This recipe is made from your basic dinner roll ingredients: yeast, flour, butter, eggs, and milk plus some sugar. The eggs and butter add a wonderful richness to the rolls. Can I freeze these yeast rolls"
Yes. You can freeze them right after shaping them into balls. You will need to remove them from the freezer at least 2 hours before serving. They need to thaw and rise before baking. If you don’t have a warm place for them to rise, no problem. It will just take longer for them to rise, but they will still rise. Good warm places include the top of the dryer when it is on or in front of a sunny window. You can also heat the oven to 200 degrees and then turn it off. Place the dough in the oven with the door cracked open.